“They’ll take some time to come around”. We can’t carry on like this”. “You have to tell them today …..or…..or lets just call it quits”. “I hate myself for saying this…but I think I’ve waited long enough. Walking away is better than this hanging uncertainty”. “I don’t know about suffering…but you seem to be the one who doesn’t care”. “Thats for you to decide”. “You know what?? I think you were right!! Walking away from each other would be best for us”. “Okay fine! If this is how you want it to end, so be it”. But it was another 18months before they tied the knot! I love standing in a downpour. Reality strikes back and I get into addressing the more pressing issues of ironing clothes dry (pun unintended 😀 )and making sure the kids are safe from the sniffles! But the first few days…Aaaahh!!! The air practically sizzles with the sound of water turning to vapour. The earth releases its secret aroma, a secret more sacred than the Coca Cola recipe 😉 . The trees look suddenly greener, cleaner. Flowers turn a vivid hue of their original selves and people like me rush to the terrace to soak in the warm drops. Last week, we had a slight shower just when the city was on the verge of becoming a melting pot. I rushed out to the terrace and Lui came after me. She out-did me in her enthusiasm for the rain. At the first feel of raindrops, she giggled with delight and stuck her hands out from the railing, wanting to feel the drops on her hands. A part of me thought it prudent to send her back inside. So I picked her up and held her as the slight drizzle cooled us off. Lui, usually the hyper-energetic kid who cant stay in one position for long, clung on to me, cheek-to-cheek and sang the alphabet song 😀 . We swayed gently to her tune and she raised her face to the skies, wanting a more heavier rain. Shobby stood near the door, calling out to us. I coaxed him to come out, but he’s gone on his father!! Not a drop of cold water is allowed to touch his warm body 😐 !! He just stood there, watching the rain! Me and Lui stood looking out at the road for about 20 minutes. 20 of some of the best moments of my life!! I took Lui inside and toweled her hair dry. “Mumma, hum kal phir baarish mein jayenge”, she declared. “Lui!!! Baarish mein jaane se bukhar aati hai”, said Shobby the spoilsport. Lui looked at me, questioning the wisdom of Shobby’s comment. “We’ll go”, I gave my consent. “Yaaaayyyy!! !” yelled my girl with the biggest, brightest smile on her pixie face. The sky is clear. The sun is burning down and more than anything, I want that next shower to happen soon as possible. Remembering Amby…….and of course Gypsy!! Look at that beauty!! That gloss!! Only one word comes to mind – REGAL. 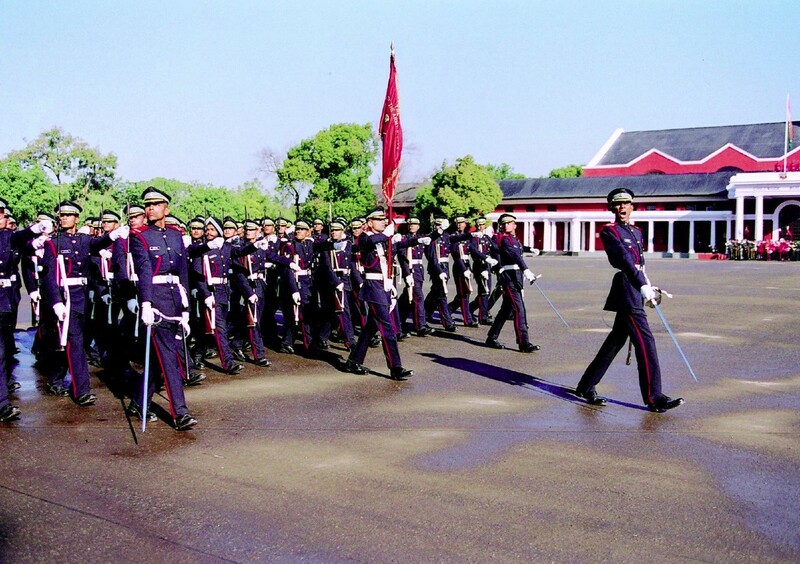 Army ambassadors come in three colours – black, dull olive-green and off-white. But its the black one which is by far the BEST!! Yes, that is what the ambassador (or the lovingly called Amby) car is all about. 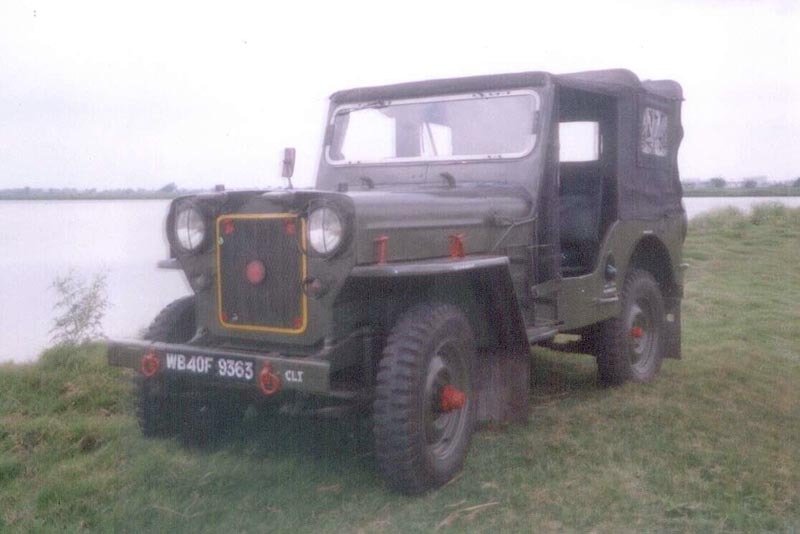 We spent a major chunk of our childhood travelling by the Amby. I’m yet to experience the same comfort in any other car 😦 . 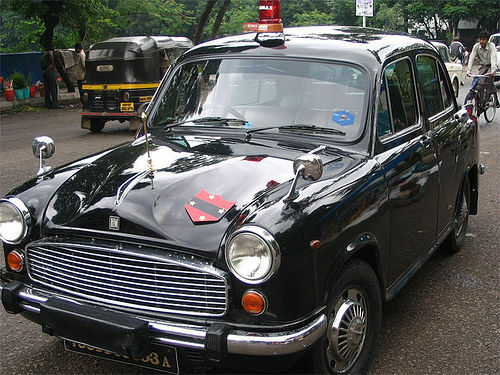 The Amby had a roomy interior, a high enough ceiling and plush velvet seats which sank comfortably beneath our weight. Three people could sit in the front as well as the back with ample elbow space between them, without the worry of bulky seat-belt buckles digging into their posterior!! One could sit back and rest their head and have a wonderful snooze while the amby cruised smoothly along . The sturdy vehicle never allowed any pot-holes to disturb its occupants’ sleep 😀 . The height of luxury was when the car had an interior fan of its own. A Small tiny contraption which would blow hot air into the face of the people sitting at the back. Rotating fans were super-luxury. You really had to be a high up in the army to deserve them!! 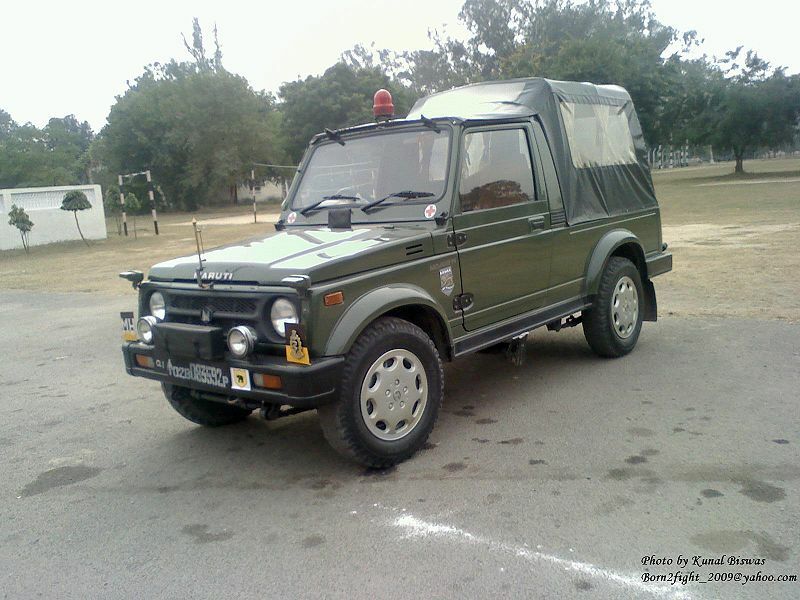 The other vehicle of which I have fond memories, is the Maruti Gypsy. A really convenient vehicle, I must say. No fancy parts, just simple utility. You could load the entire family into it , plus 10 bags and there would still be space for more 😀 . Once in a while, if parents were not travelling with us, we could convince the driver to pull down the hood 😀 . Bliss!! Sigh. Its been so long!! I now hear that many senior officers are now demanding the new fleet of high-end cars for official purposes. The poor things. They have no idea what they are giving up on!! The ambys now also come with air-conditioning. So what’s their grouse?!! The only part that irritates me is the use of ambys for politicians!! What a disgrace to such a wonderful vehicle. How they degrade its standing 😦 . Some politicians are now demanding SUVs. Well, let them! They don’t deserve the royalty and presence of an Amby anyway! Those days are gone……with not a single member of the family in Army anymore, there is no likelihood of any of us ever getting a chance to sit in those vehicles again. So I can just cling on to my memories and be glad that we did have a chance once. And a million thanks to Dad for giving us a lifestyle which actually makes my life feel complete 🙂 . * All images sourced from google images. For some unknown reason, while driving to work today, I was reminded of Dehra Dun? I guess it was because of this song I was humming……ever heard it before, this “Tumhe chhede hawa chanchal…” from a movie called Salami? Please ignore the video, or at least try to ignore the bad acting and awful clothes. But do check out the red cap that the heroine wears at one point. Totally digging the way it balances precariously over her hair. Awesome acrobatic hat, that!! Anyhow, the song is very pleasant (along with the rest of them from this movie). 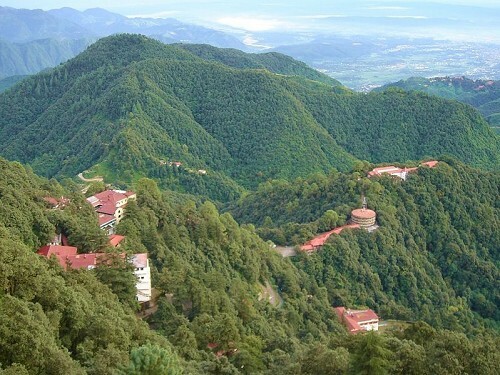 It was shot in IMA, Dehra Dun and the one reason I’m going on about is that, IMA shared its boundary, for a considerable distance, with Kendriya Vidyala New Forest or, KV FRI as it was popularly known. 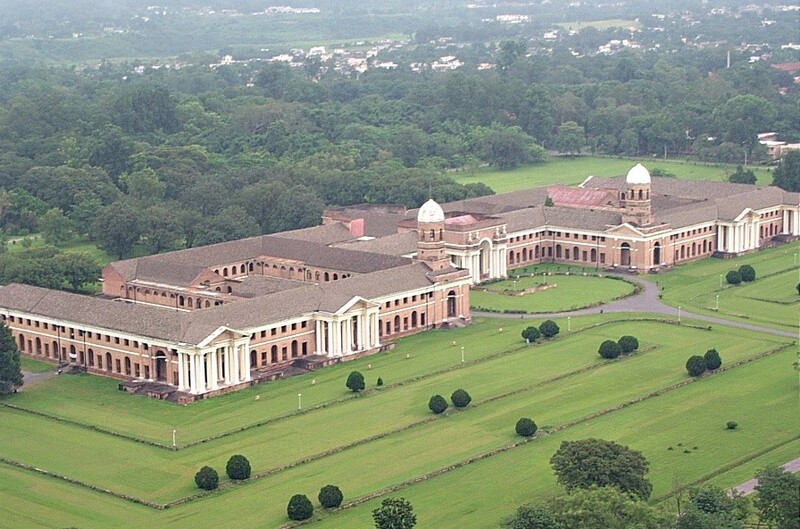 Forest Reasearch Institute (FRI)....the most majestically sprawling structure I've ever seen!! The movie ran to packed houses in DDun, for a simple reason that, who bothers to shoot films in sleepy remote towns like that? So we watched the film with bated breath, trying to locate instances when our school would come into view. Mind-blowing suspense!! But sadly, the only thing we could see was the school gate, towards the far right of the screen when the camera focusses on the IMA entrance gate. It filled us with pride, that school gate 🙂 . Another thing DDun is famous for, is the Doon School. 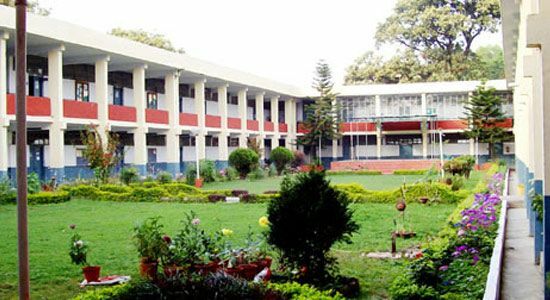 A Large green complex with high walls, safely segregating the elite students who studied there from the common public outside. Doon School was bang opposite Dad’s office, and around Term-end time, we could the road on both sides covered with cars of models which we hadn’t ever heard of. Mercedes Benz, if I remember correctly, was the cheapest car in that collection. Yup, elite, they were. Stinking rich, we used to call them then. If only they had a better uniform. At least for sports. The shorts with one leg light blue and the other dark blue and the shirt with one side light blue and the other dark blue, so that the entire appearance was that of a 2×2 check box , didn’t really look attractive. Far from it!! I spent three most satisfying and heart-warming years in DDun. My friends from there are now spread far and wide acros the globe. Am sure they all miss that place too. People who still go back to DDun say that it has lost its charm post becoming a Capital (of Uttarakhand). Hmm…you can’t win all battles, can you? I remember the days of the agitation well. Loads of young boys from colleges would gather around schools, weilding large sticks and threatening bodily harm to students if the Principal didn’t close down the schools ASAP! We LOVED those days. Never mind we had board exams round the corner. Unscheduled off from school is every student’s secret desire come true 🙂 . How we craved those days!! Some kids in school had elder siblings from these colleges and they used to ask the ‘bhaiyyas’ to come in and make sure the school shuts down!! Our Principal those days, had a very trying time. KVs, unlike local schools, come under the Central Goverment jurisdiction. Any decision regarding the school has to be taken at the Central level. Princi used to call up Delhi and ask for directions….and then there was a nail-biting wait ,where the babus up there took their time in figuring out what was to be done. Meanwhile, the Princi had to cajole the protestors to let go of the young kids (whom the protestors threatened to harm). Meanwhile, our teachers tried their best to cover the syllabus in whatever limited time they had in their hands. Given youth and our careless ways, we didn’t realize the importance of those days. 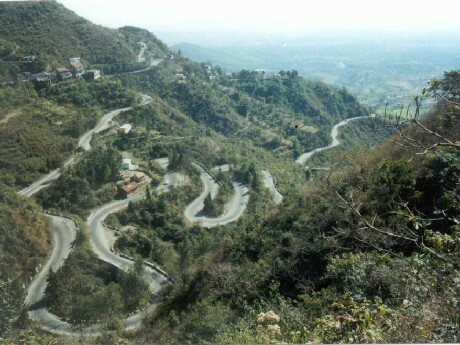 I remember a Mathematics teacher once confessing, that the people living in Upper UP, the Garhwal region to be precise, were a sadly neglected lot. The government didn’t provide them with roads, electricity and even primary education. The villagers were facing innumerable problems and the best solution to the problem was, creating a new state altogether. Looking back now, I realize how badly we failed as a nation. Governance of the states didn’t really work out and we are now back to being the little clusters of populace that we were before Independence. How long before some outsider raids us once more? Divided , we already are!! History does repeat itself, doesn’t it? Anyhow, I went totally on a tangent there. Back to DDun once more. 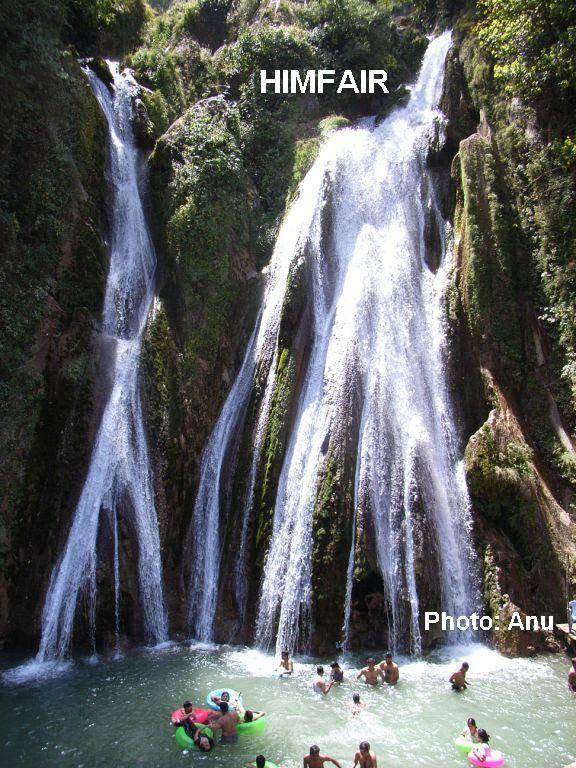 The valley and the foothills of Mussoorie are a treasure trove of flora and fauna. and some really lovely picnic spots. Heck, just park your vehicle on the road side and you have picnic spots on both side of the road. It is that beautiful!! 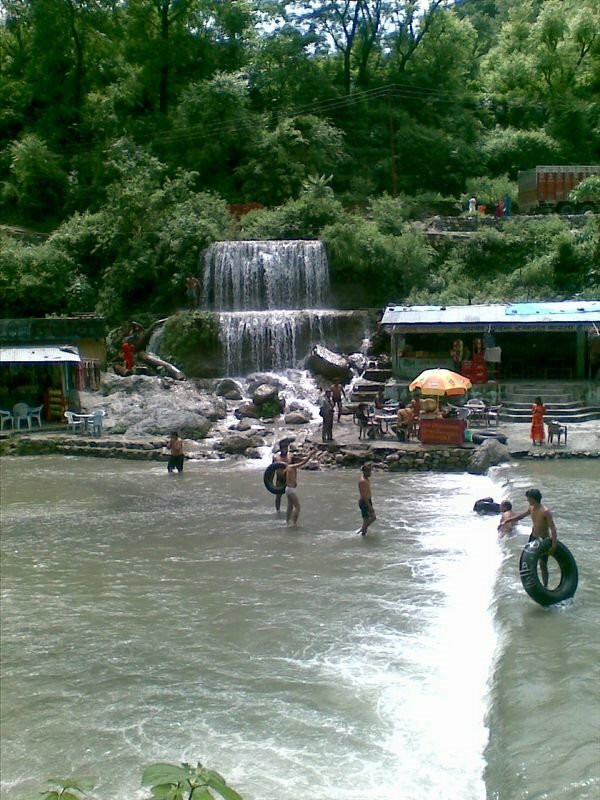 If you ever get a chance to go that side, do take out time to see Kempty falls and Sahastradhara. I sincerely wish I had my own snaps to put up here. They are, alas, safely stored at mom’s place in B’lore. She refuses to part with them, even though she may not know whom they belong to or who the people in the snap are!! Someday, when the kids are old enough and the BF is willing enough, we might take a trip to DDun. I want to relive those memories again. Go back to those old haunts which seemed so much a part of my life. Birpur, Aam Baug, Paltan Bazaar, Clement Town……they sound so distant now, so far away. I want to reach out to them once more …….